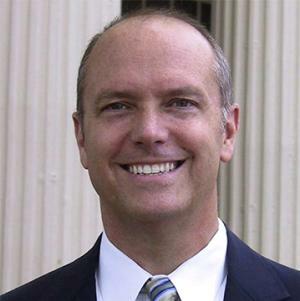 Mark is a native North Carolinian and graduate of the University of North Carolina at Wilmington who has more than 29 years of experience in the hospitality and tourism industry covering five (5) Southeastern states. 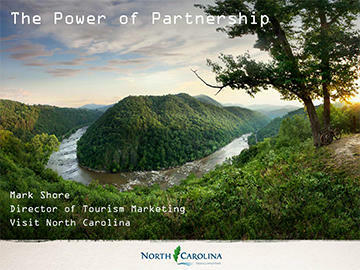 He is currently the Director of Tourism Marketing for Visit North Carolina under the newly created Economic Development Partnership of North Carolina. He began his career in hotel sales and marketing with Stouffer Hotels and Doubletree Hotels in Atlanta and Charlotte. Mark has worked as Director of three Convention & Visitors Bureaus. The Cabarrus County CVB, the Charlottesville Albemarle Convention & Visitors Bureau in Virginia and the Williamson County/Franklin CVB just outside Nashville, TN. He also worked for The Battleship NORTH CAROLINA as the Marketing Director for the Historic Attraction. He has 4-children (ages 14 to 21) and currently lives in Morrisville. CLICK HERE to download Mark&apos;s presentation.